National Football League Network Senior Producer Paul Monusky was asked to do a short five minute film on former Washington Redskins star Jerry Smith. The record setting football star was closeted his entire football career and died of AIDS on October 15, 1986. When Monusky ran into former teammates Chris Hanburger and Bobby Mitchell who sang Smith's praises, his playing ability and said everyone on the team 'sort of knew' that Smith was gay, Monusky realized that this was more than a five minute story. As a result, this Tuesday night (January 21), NFL Network's "A Football Life"will air an historical hour on former Washington Redskin Jerry Smith. The show will air at 9PM EST and will be repeated throughout the week on the channel. After the show, Jenn Brown will host "A Football Life: Backstory" which will delve deeper into Smith's life. Joining her will be Smith's former Redskins teammates Brigg Owens and Calvin Hill. In addition, I personally will be a guest. Monusky, in an exclusive interview with Towleroad.com, said, "This show is a first and is unlike anything we have done on the NFL Network. The show, without a doubt, is a groundbreaker." 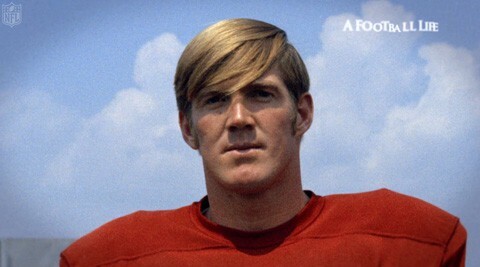 Jerry Smith was a giant among football players. NFL Films describes Smith for the upcoming special. 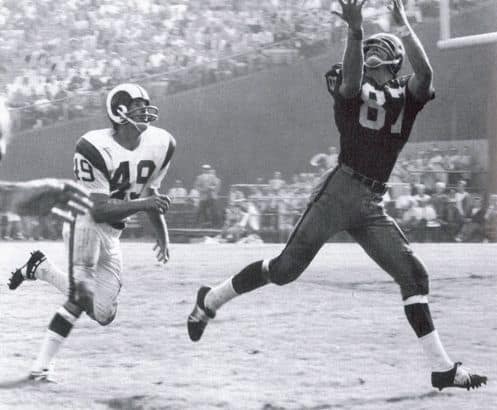 Almost 50 years ago, a young tight end named Jerry Smith joined the Washington Redskins. After 13 seasons on the team, Smith retired, but not before making two Pro Bowls, one All-Pro team, and playing in a Super Bowl. He set an NFL record with 60 receiving touchdowns, the most ever by a tight end (that record stood for 26 years). Smith was also gay, something that most of his teammates knew, but didn’t care about. "Would have to say that the issue with an openly gay player is not so much with the teammates as it is with others. All the teammates care about is if you are an excellent player and will help them win." "The biggest surprise for me was learning the amount of fear that Jerry lived with every day of his life. I don't think he would have been allowed to play or he would have resigned from the team if he had come out." While the Senior Producer would never tell someone playing the NFL League today that they had to come out, he believes it will happen in the next year or two. He believes the reaction would depend on both how good a player he is on the field, and his personality off the field. "It would have to be a Jackie Robinson type person who could thrive on the field while dealing with such intense pressure from the outside." 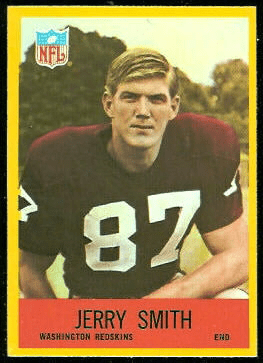 Personally having known Jerry Smith when he played for the Washington Redskins, I can only hope this historical broadcast will open up the doors to the Football Hall of Fame where he belongs among the other giants of Pro Football. You can watch the trailer for the film by simply clicking here.